Trudel and Sons Roofing: Slate Roofing: The Good, The Bad, and The Cost. Slate Roofing: The Good, The Bad, and The Cost. Due to the fact that it's a natural stone product, slate tiles have some huge upsides. 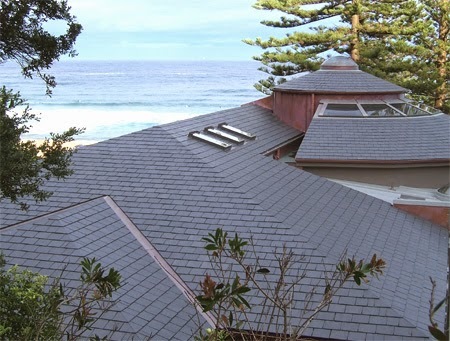 In addition to being unique and appealing, slate roof tiles are known for their longevity among other roofing systems. Slate roofing tiles also offer more choices with regard to size, colour, and thickness which also contribute to their longevity factor; and in a world where a standard roof can be expected to last just 20-30 years, longevity is crucial. While on the topic of longevity, slate roofing tiles are regarded as the most fire resistant and environmentally friendly thus adding to their desirability. Unfortunately, many contractors know very little about slate roofs. What's even more unfortunate is despite that fact, some contractors will advance with your slate roof installation anyway. When hiring your roofing contractor, be sure to inquire about experience and ask for references. A well installed slate roof could last you and your home a century, however, a poorly installed slate roof could feel like not having a roof at all. With regard to durability, slate roofing can be a big negative for homeowners. When it comes to your slate roof, the understanding of its delicacy cannot be stressed enough. Before you or any type of contractor ventures on to your slate roof, it is of the utmost importance to be aware of the proper precautions that need to be taken such as proper footwear. Always remember, the less time you spend on your slate roof - the better. It's also important to note that slate roofing is sold in lots, and those can change over the years. So if you have slate roofing damage any number of years after installation, there will never be a guarantee that your new tiles will match your old ones. The most notable con when it comes to installing a slate tile roof on your home is its high cost. $1000-$4000 per square tile can seem a bit daunting upon initial investment, however, when the options are weighed against an asphalt roofing system that will need to be replaced more frequently, it makes more economical sense.